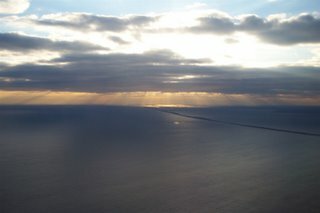 Approaching Fire Island on Wednesday afternoon. Trip report to follow soon. Involves stash enhancement. great picture – why did I just assume you were driving?? LOL Can’t wait to hear about the stash enhancement. Glad you’re home, and looking forward to living vicariously through your stash enhancement (since I’ve given it up for Lent). welcome back Jane.. great sky photo !